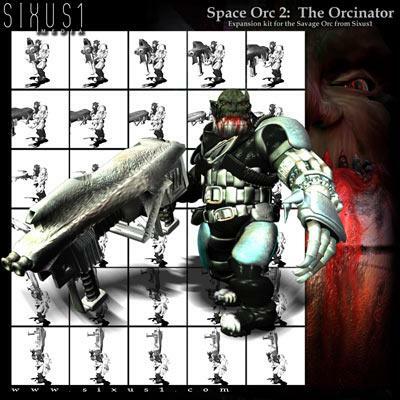 Heroic Space Orcs need BIG guns! Great work, Thanks. Thanks very much. Amazing work! What a great set. Thanks. XaatXuun (8 years ago) Inappropriate? Roughneckone (9 years ago) Inappropriate? These Orc figures are amazing, thanks so much. Hopefully when I''ve done a bit of learning I''ll be able to return the favour.These Orc figures are amazing, thanks so much. Hopefully when I''ve done a bit of learning I''ll be able to return the favour. tg777 (9 years ago) Inappropriate? ARMEU (9 years ago) Inappropriate? Thanks very much!!! It`s excellent. RIGHT ON THIS IS SO FUN! THANKS!